Item number Ie344 from the MOA: University of British Columbia. 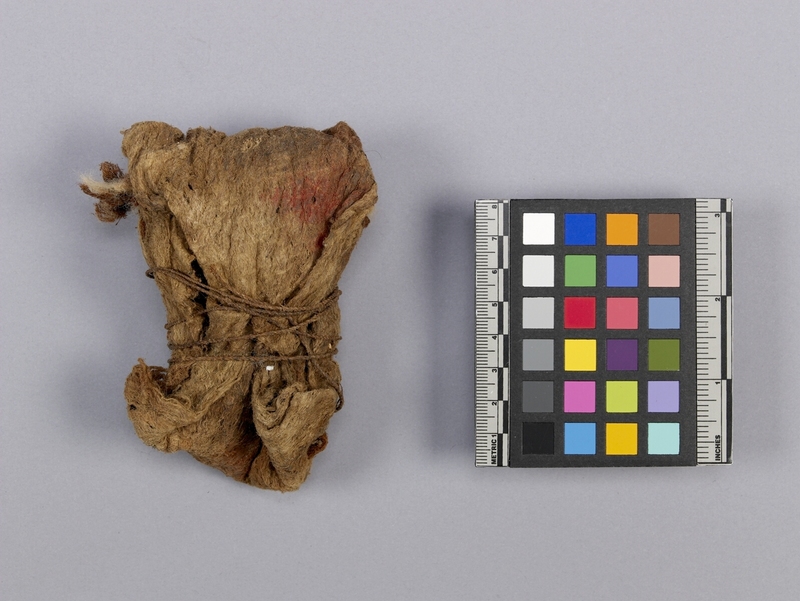 A bundle wrapped in beaten bark cloth, bound with bark twine, and brown in colour. Contains one grooved and three rounded pebbles with some pieces of wild ginger packed in yellow marsupial fur. 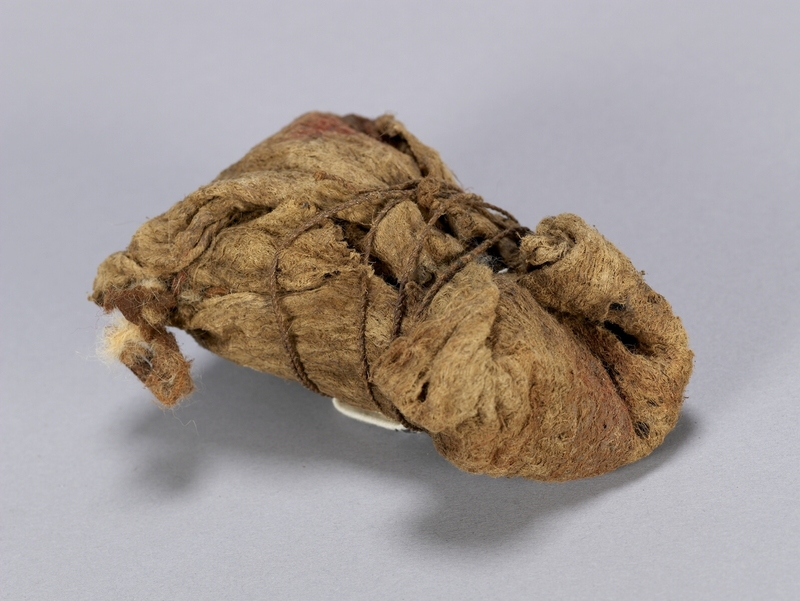 Bundle held by men for ritual use and is believed to have mystical power, bringing fortune to bearer in exchange and domestic matters. Specifically symbol of fertility as grooved stone represents female sexual organ and small stones represent children. Wild ginger is used in magic and medicine.